Take note: customers should beware of purchasing cheap unapproved parts, accessories, and consumables for their high quality equipment. 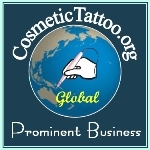 A situation recently came to my attention where a Cosmetic Tattooist (who is not one of our customers) had been using cheap needle accessories for their expensive cosmetic tattoo equipment that they were assured by a cheap supplier was right for their device. Although the Cosmetic Tattooist thought that the cheap parts appeared to fit their device unfortunately they were not genuine parts correctly matched and branded for their device and the use of the unapproved parts gradually caused expensive internal damage to their hand piece that was not covered under the manufacturers warranty. This is obviously a very unfortunate situation and one which resulted in the loss of income for the Tattooist while they battled to resolve the situation with the cheap needle supplier and waited for their device to be repaired. Also with cheap supplies, the source and location of manufacturing of the parts are often unknown and it is unlikely the parts would comply with international standards, particularly with sterile components this is of real concern because it is most likely they are not sterile. Our customers are reminded that it is very important to only use the correct brand of parts, accessories and consumables for their high end equipment, even if it does seem to fit use of non genuine parts and accessories could easily damage your device and you risk voiding your warranty and you may experience the loss of income caused by the down time while waiting for repairs. Your equipment is the essential tools of your trade always take good care of your tattoo machine and don't risk using cheap substandard supplies.